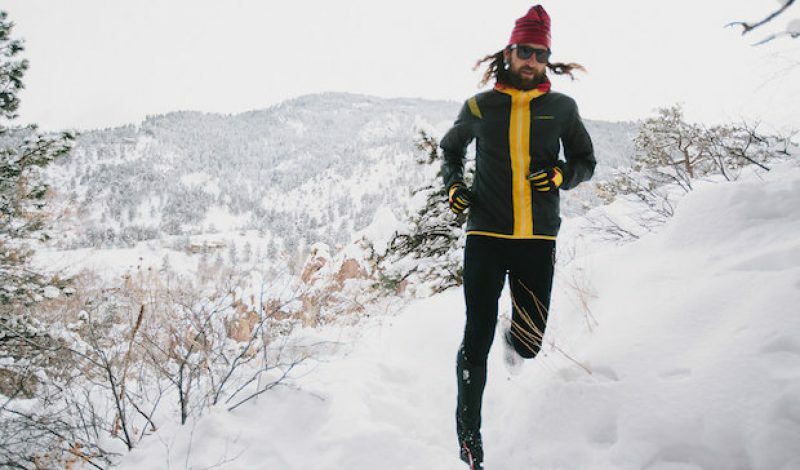 Born and raised in Nebraska, ultrarunner Anton Krupicka has always been drawn to the outdoors. As a child, he would spend his days exploring the landscapes that made up the 620-acre farm overlooking the Missouri River that his family called home. It was there that he discovered a passion for running at a young age, competing in his first marathon at the age of 12. 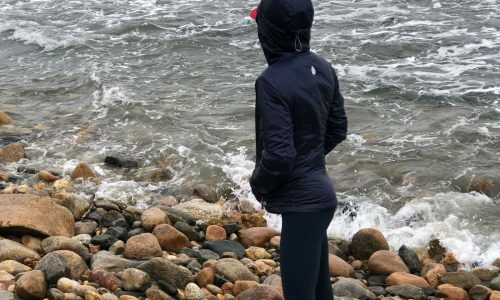 Later, while attending Colorado College in Colorado Springs – where he also ran track – Anton discovered mountain running, and knew that he had found his true calling. For the past ten years he has been competing in some of the toughest races on the planet, notching two wins at the prestigious Leadville 100. But Anton has a desire to go beyond just competing in endurance events, and has been busy building his skillset to include climbing, biking, and skiing as well. Those modes of transportation will play a role in future projects too, allowing him to pursue other self-propelled adventures in the mountains. Recently we caught up with Anton and had a chance to ask him about his favorite gear and what he’s planning next. Gear Institute: Hi Anton! Thanks for chatting with us today. Can you tell us a little bit about what you’ve been up to lately? Anton Krupicka: Ski season is winding down (sort of), so I’m transitioning into running, climbing, and biking for the summer. I have a handful of focused objectives in the high mountains this summer in Colorado and Wyoming—big traverses and peak link-ups—and at the end of the summer I’ll be headed back to the Ultra Trail du Mont Blanc in Europe, which will be the culmination of the race season. GI: Whoa! That’s quite a workload you’ve set for yourself. Looks like you’ll be staying very busy in the weeks ahead. What is some of your favorite gear that you take with you on these excursions? AK: I just bought a 1lb 32F sleeping bag from Western Mountaineering (the Highlite) that is super impressive to me. I’m using it in a backcountry ski race this weekend, but will use it in the future for bikepacking and fastpacking adventures too. Black Diamond just came out with their new, lighter Ultralight Camalots. That’s huge for me as carrying a lighter rack on alpine adventures is something I’m always interested in. GI: You have some interesting sponsors brought on by your successful running career. 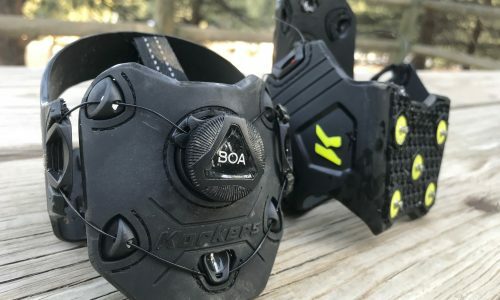 What pieces of gear from those companies do you really appreciate having at your disposal? AK: La Sportiva’s Mutant running shoes are one of my favorites. 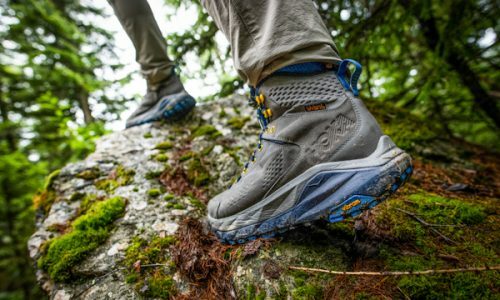 They’re super versatile for mountain running and have enough cushion for all day comfort, as well as aggressive lugs for off-trail purchase, and sticky rubber for technical scrambling. 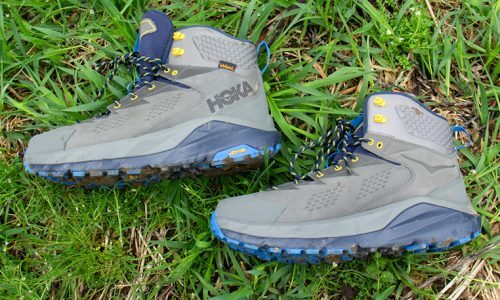 For what I like to do in the mountains (big days of combined running and climbing on rugged, off-trail terrain) these shoes are perfect. I’m also a fan of the Original Buff caps. They offer sun protection from the brim and sweat- and hair-management from the Buff. But really, a Buff is so versatile and simple it just makes sense to have it with me on every outing. I also don’t leave home without my La Sportiva Oxygen 2.0 Windbreaker. It’s a hooded, 3oz wind jacket, and it is the one thing I take with me virtually every day of the year. It’s so light and compressible that it easily tucks in my waistband and the protection from rapidly changing mountain weather is indispensable. Basically any outing I do involves a big change in elevation, which always brings the high probability of vastly different weather over the course of even a short ride, run, climb, or ski. GI: Are there any trends from the outdoor gear industry that you’re really excited about right now? AK: For me, I’m always interested in going lighter and faster. So, tech advancements like thinner, lighter single ropes in climbing; lighter, stiffer skimo boots; crampon-compatible running shoes; hybrid scrambling/running shoes (as opposed to approach shoes); more compressible, lighter insulated apparel, etc are always interesting to me. GI: Do you have a favorite jacket that is your “go-to” for all occasions? AK: As I already mentioned, my La Sportiva Oxygen 2.0 Windbreaker is the best. I bring it basically every time I head into the mountains. GI: Staying on jackets, do you prefer hardshells or soft, and why? AK: Hardshell., because they are lighter and more compressive. Softshells are almost always overkill for me. They tend to be too heavy and hot for aerobic activities. You certainly know a lot about aerobic activities Anton. Thanks for taking the time out of your busy schedule to share your thoughts on your favorite gear with us. Good luck in the racing season ahead, and all of the other adventures you have planned.